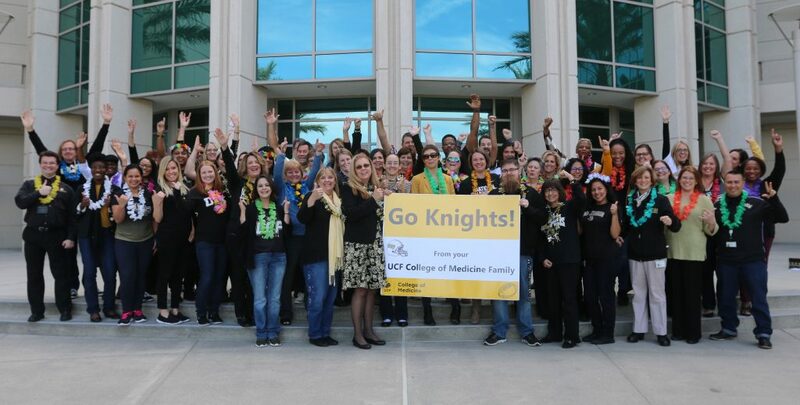 College of Medicine faculty, staff and students cheered on the UCF Knights football team ahead of the American Athletic Conference Championship held last Saturday. The Knights went on to beat Memphis 56-41 to secure unbeaten back-to-back AAC titles. The medical school family donned leis in support of quarterback McKenzie Milton, a Hawaiian native, who was unable to play due to a serious injury.